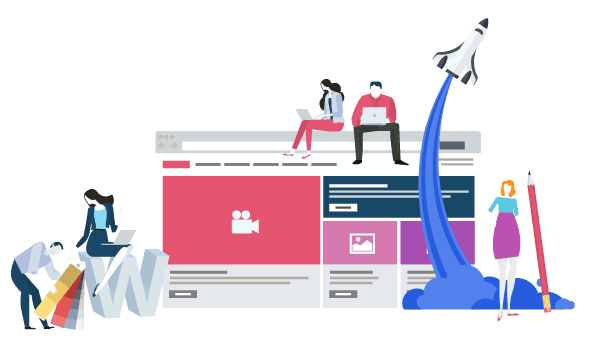 Since 2004, Finepoint Design has been a company that has evolved from a part-time freelance web design company to a full-time digital marketing company. The company founder, Keith Hearn, started working as a printer in 1998, back when graphic design on computers and the internet were still in their infancy. So to say Keith has been around in the web world would be correct. Seeing the writing on the wall of the potential of the internet, Keith went to work as a junior web developer for a local design agency. After gaining several years of experience and feeling like he had reached his fullest potential with that company, it was time to leave and see what else was out there. Keith went on to work for companies like MotorCity Casino and Hotel, Iconix Inc., The Wright Museum, PGN Agency and even teach at Specs Howard School of Media Arts. 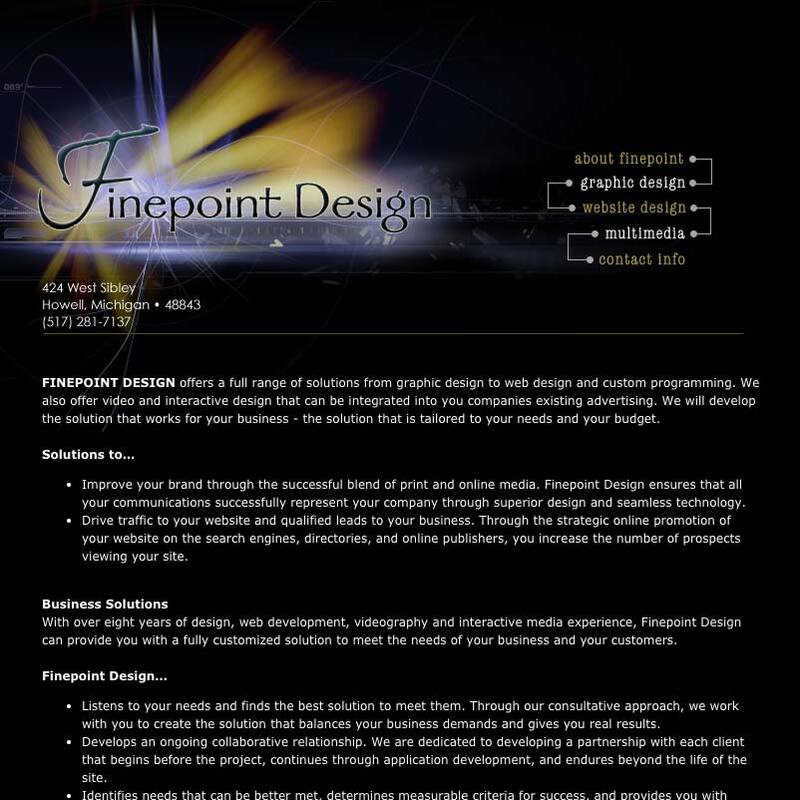 Yes, this is really what Finepoint Design looked like in 2004. What Makes Finepoint Design Unique? Act like the rank you want, not the rank you have | We are not complacent in what we currently know, we always continue to learn and grow. This helps us as individuals while providing more value to our clients. Take charge, don’t wait for people to tell you what to do | Being proactive for our clients pays off. We don’t wait for problems to happen, we make sure our clients are informed on the things we learn about and make sure they are as educated as possible in ways to achieve success. Having a military mindset does not mean we are not creative or fun, it’s just how we approach business, our clients, and things that come up. The other thing that makes us unique is that we appreciate the things nonprofits do and offer discounted services to them. A few of the local nonprofits we work with are the Livingston County Humane Society, the Charles H. Wright Museum or African American History and The Carr Center in Detroit. Any great company needs to set a presidence for the culture of the company. This sets the stage for the employees that work for us and the clients we work with. Seek Excellence: Focus on helping each other and our clients achieve excellence. Think like a child. They tend to have the best ideas. Have fun while creating. It’s where the best ideas come from. Always continue to pursue growth through learning. Communicate or the message is lost. Hire the best and deliver AWESOME. Our Vision: Without a doubt, deliver a product that people talk about and want more of. Our Mission: To help small businesses increase their revenue through various digital marketing approaches. Another thing that makes us different is that we don’t take on every client that comes to us. We want to work with companies that we know we can help grow their business and don’t take them on just to make a dollars. At the end of the day, we want to feel like we’ve made a difference, not just another dollar. If we decide we are not a good fit, we will be glad to refer you to one of our trusted partners that can help your business better. Remember, our goal is to help small businesses any way we can, even if it means not making any money. We tend to not show off things like testimonials and awards because we prefer to let our work speak for itself. Art is subjective and everyone has their opinion on what looks good. 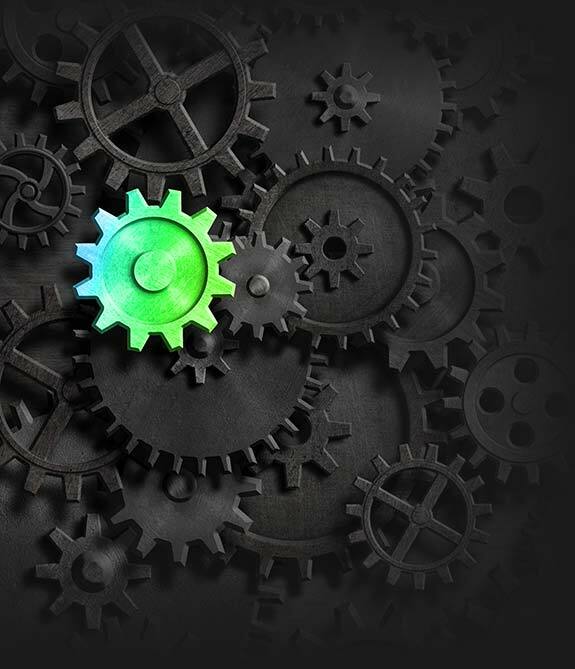 Chances are you have run into designers, agencies, or marketing firms that push all sorts of processes and ideas that they themselves do not use. The things that Finepoint Design and Marketing offer our clients are the same methods we use ourselves. Keep in mind that every business is different and your ideal customer may be found in different places than ours, but the way we employ things like SEO, social media and marketing within it, optimizing a website and looking for better search engine rankings, all of these things we perform the same way we perform for our clients. Finepoint Design does not work with every client that contacts us, so let’s find out if we are a good fit for both of us.